The nondescript facade of the Village East Theater conceals one of New York City’s great hidden gems. 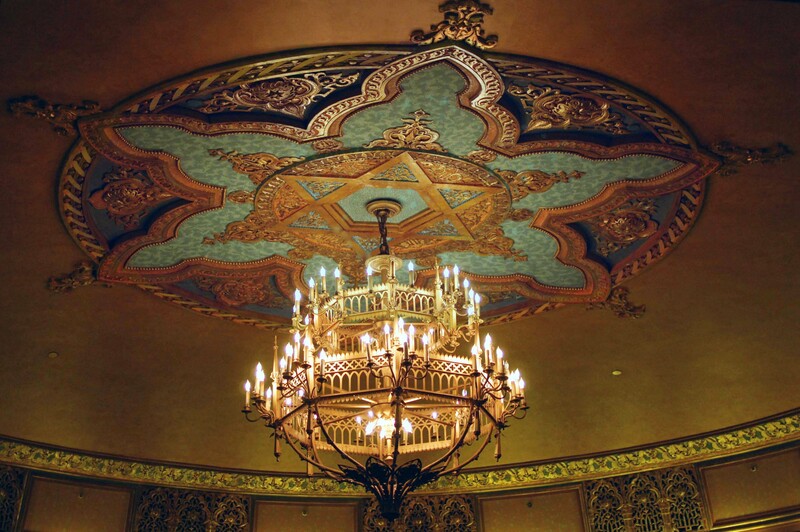 The theater began as the Yiddish Art Theater, designed by Louis Jaffe and could seat 1,265 persons. Charlie Chaplin, George Gershwin and Albert Einstein have passed through its doors and it also later housed the original productions of Grease, Joseph & the Technicolor Dreamcoat, and midnight showings of the Rocky Horror Picture Show. The space has also been used as a burlesque theater, film/tv set and concert venue. I saw the Anvil documentary here and last night, the new Ben Affleck movie, The Town. 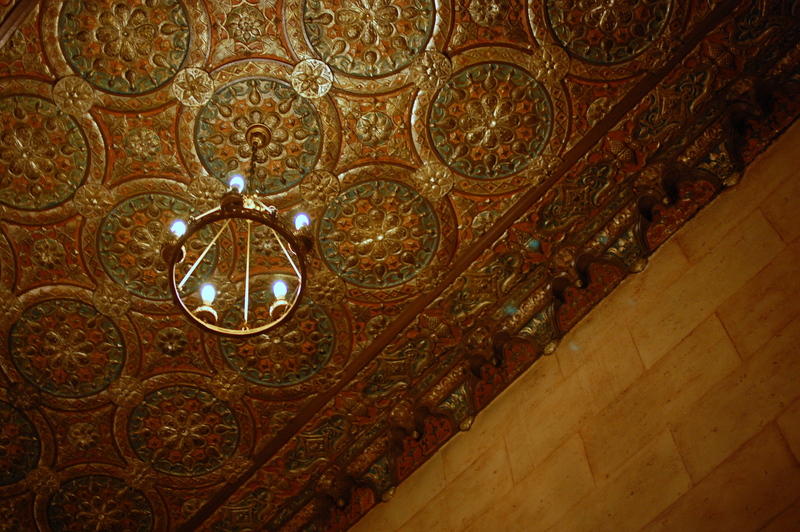 The interior is in the Moorish Revival style with gilded ceilings, etched stonework, vibrant blue and red paints, and an elaborate chandelier. 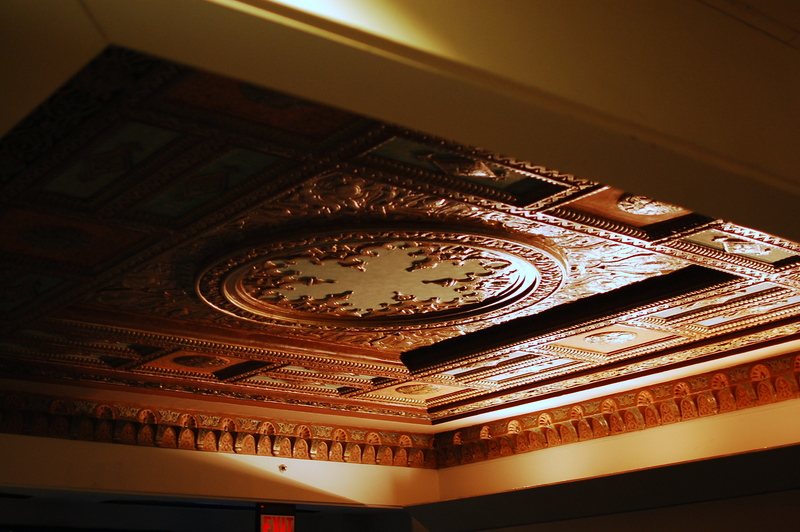 The lobby has a row of vintage decorative entranceways, a double staircase and gilded coffered ceilings. I highly recommend watching a movie in this space–all you need to do is ask them which movie is playing in the main theater. The theater usually specializes in independent films, much like its sister theater, the Angelika Film Center. 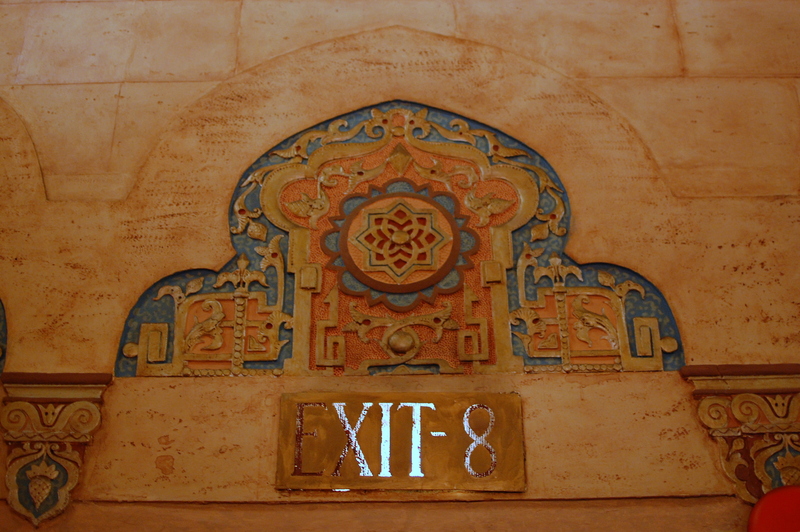 An image from the movie theater website shows the color of the walls and the box seats (no longer in use). The theater was converted into a multiplex by raising the orchestra pit and adding six more theaters behind and below the stage. 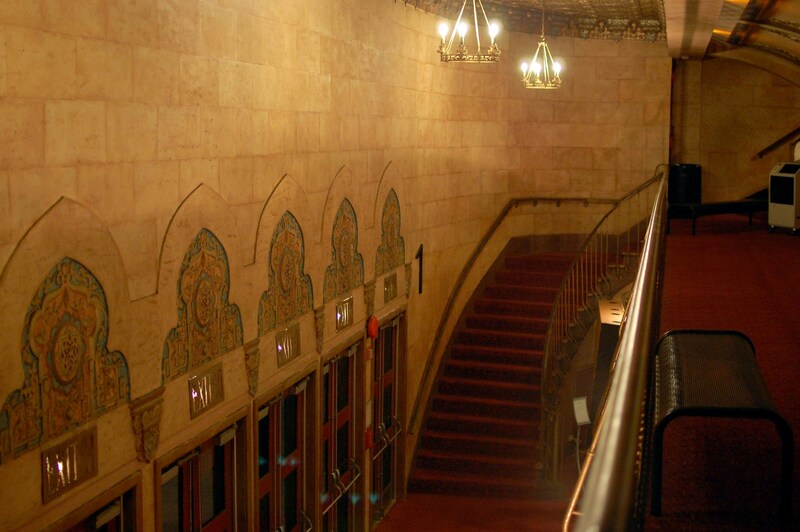 Previous names for the theater: Yiddish Art Theater, Yiddish Folks Theater, the Entermedia Theatre, The Phoenix, Century Theatre, Stuyvesant, Jaffe Art, Eden, Casino East, Gayety, 12th Street Cinemas, Second Avenue Theater. 181-189 Second Avenue at 12th street. All photographs by Michelle Young.